Polina Polonsky, who claims she had a passionate affair with Lamar Odom, has revealed further details about their alleged relationship. Polina Polonsky, 33, has now given specific details about the alleged six-week fling – including which nights she allegedly spent with Lamar Odom, and where they stayed. The lawyer even claims that her friendship with Lamar Odom turned physical on the night of Kim Kardashian’s baby shower – which is the last time Lamar and Khloe were photographed in public together. The new claims came as Khloe Kardashian left Los Angeles. She was pictured jetting out alone on Thursday afternoon, hiding behind a pair of thick rimmed red glasses. 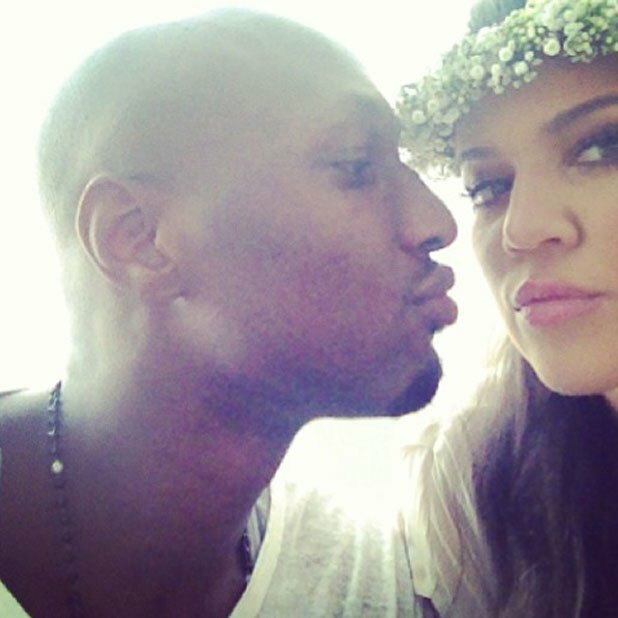 Khloe Kardashian and Lamar Odom married after just one month of dating in 2009. Polina Polonsky has taken a lie detector test and offered up precise details of the alleged affair. In new revelations on Thursday night the criminal defense attorney told Star magazine that although she had known Lamar Odom for some time, the relationship did not turn romantic until the evening of June 2 at Hollywood’s Roosevelt Hotel. Earlier that day Lamar Odom had attended Kim Kardashian’s baby shower with Khloe. “Lamar and I have known each other for a long time, but June 2 was the first time we really hung out,” Polina Polonsky told Star magazine. Polina Polonsky said the two did not sleep together that night, but on June 9 their relationship turned physical with a first kiss. Polina Polonsky has previously claimed that the following week there was a furious confrontation with Khloe Kardashian who discovered the lovers at a cheap motel in downtown LA. The new allegations come after Jennifer Richardson, 29, said she too had enjoyed a secretive liaison with Lamar Odom. Lamar Odom furiously denied Jennifer Richardson’s allegations, although he and Khloe Kardashian have yet to comment on Polina Polonsky’s claims.